Spoil yourself with an extended holiday in the Algarve, at a luxury beachfront resort, by taking advantage of our Stay Longer offer and saving up to 15%. Minimum of 3 nights saves 5% on accommodation. Exclusive Offer: Book your Stay Longer offer, between April 22nd and May 5th, for stays until October 31st and take advantage of an additional €70 Resort Credit to enjoy at Tivoli Spa, Restaurants and Bars. 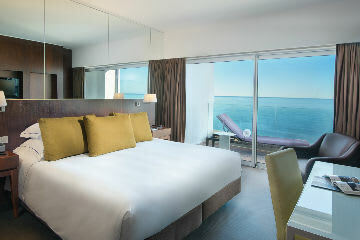 • Rate subject to availability and only valid in participating hotels, through tivolihotels.com.